Find Wingate, NC Homes for sale. View Photos, Maps and MLS Data Now! Privacy with easy access to the new Monroe Expressway just minutes away! MLS#3496729. Century 21 Providence. Wingate Estates - Sold As-Is. Sellers will make no repairs. MLS#3495038. Northstar Real Estate, LLC. Easy access to new Monroe Bypass for quick commute to Monroe/Matthews/Charlotte area. MLS#3494110. Southern Sites Realty Inc.
Noble Oaks - 1 mile) to stoplight/town and Wingate University. MLS#3491849. Myron Williams Real Estate, LLC. Storage building/workshop also on the property! MLS#3488963. Century 21 Providence. 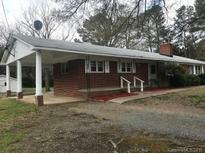 2 acres comes with this home and additional acres can be added at additional price. MLS#3488944. Century 21 Providence. *Flooring allowance may be considered with acceptable offer. MLS#3487640. Love & Company Real Estate Inc.
Windward Oaks - The lot is level and is one of the larger lots in the neighborhood at almost half an acre. Don't miss this one! MLS#3481111. Dickens Mitchener & Associates Inc.
Edgewood Acres - Don't miss this awesome house at a great price! ! MLS#3479624. Century 21 Providence. Wooded lot just minutes from downtown Wingate. MLS#3473845. Mark Spain Real Estate. Current owner says that the deer are plentiful in this area. MLS#3464473. Keller Williams Union County. Olive Branch Estates - The acreage is comprised of 2 tax parcels 02-230-026A & 02-230-037. MLS#3451198. Ross & Associates Real Estate. Don't miss out if you are looking for a move in ready home with 5 bedrooms under $220,000. MLS#3436848. RE/MAX Executive. Call to set up your showing today ! MLS#3429613. Fathom Realty NC LLC. Noble Oaks - Home has received new carpet and some painting recently. MLS#3355151. Ace Realty Co, Inc..
**Extensive subfloor and foundation damage due to currently active termites*** MLS#3316856. First Action Realty LLC.